← Baltimore Screening Pass-palooza: “The LEGO Movie 2: The Second Part”! Johnson, Statham and Elba. If ever there was a post Magic Mike XXL eye candy movie that could be watched on mute, this one’s it. But also cars, ‘splosions and stuff! Synopsis! 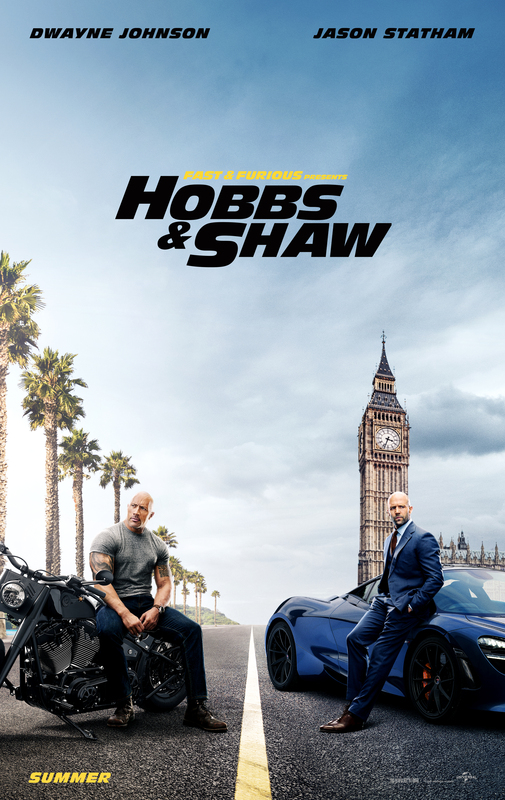 Ever since hulking lawman Hobbs (Johnson), a loyal agent of America’s Diplomatic Security Service, and lawless outcast Shaw (Statham), a former British military elite operative, first faced off in 2015’s Furious 7, the duo have swapped smack talk and body blows as they’ve tried to take each other down. But when cyber-genetically enhanced anarchist Brixton (Idris Elba) gains control of an insidious bio-threat that could alter humanity forever—and bests a brilliant and fearless rogue MI6 agent(The Crown’s Vanessa Kirby), who just happens to be Shaw’s sister — these two sworn enemies will have to partner up to bring down the only guy who might be badder than themselves. Hobbbs & Shaw opens August 2nd, 2019. This entry was posted in Trailers and tagged TrailerWatch. Bookmark the permalink.